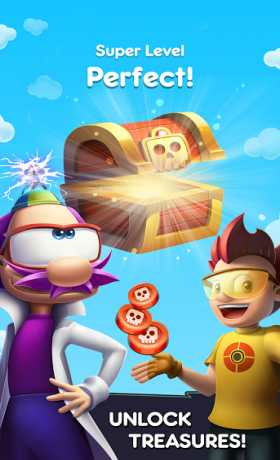 Join Professor Droo and his grandson on their electrifying quest to power up the Tesla Tubes. Travel through a colourful world of vibrant and wacky gadgets. 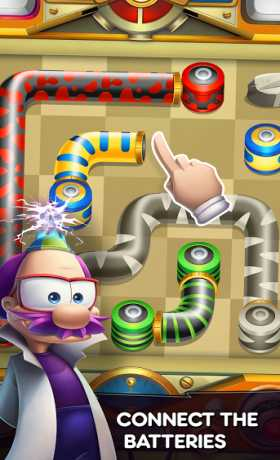 Connect matching batteries and cover the board with tubes to complete buzzing puzzles and venture further into the magical machine park. Delve deep into mind-bending puzzles as you flow through levels ranging from simple and relaxing to complex and challenging. Cross bridges, dodge bombs and pass obstacles to master all the cryptic puzzles. Tesla Tubes is an addictive, pocket-sized puzzle game that is sure to test your wit. 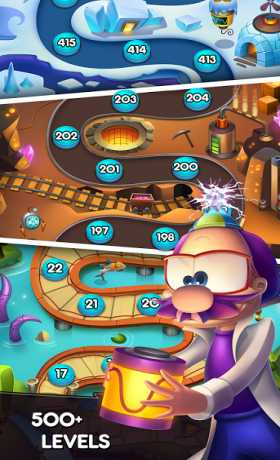 Run through the levels as fast as you can, or take it easy and secure perfect solutions, using as few moves as possible to complete the puzzles.